Nursing home abuse is a form of medical malpractice that involves the mistreatment of individuals living in nursing homes and assisted living facilities. It comes in many forms, such as physical abuse, financial exploitation, and emotional abuse. All types of nursing home abuse can result in a worsened health condition for a victim, both mentally and physically. It can also cause the victim to suffer financial damages. When a nursing home resident is a victim of abuse, he or she may not be able to advocate for him- or herself to seek compensation for these damages. This is often the job of a victim’s grown children or other loved ones. If you have a loved one currently residing in a nursing home, it is important that you know how to recognize the symptoms of nursing home abuse. If you suspect your loved one is being abused or that he or she is in danger of becoming a victim of abuse, do not simply stand by. Talk to your loved one about the quality of care he or she receives and talk to the management staff of his or her nursing home about your concerns. If your loved one is suffering as a result of mistreatment, consider working with an experienced nursing home abuse lawyer to pursue a nursing home abuse claim. There are five recognized types of nursing home abuse: physical abuse, sexual abuse, psychological abuse, financial abuse, emotional abuse, and neglect. It is possible for an individual to be a victim of more than one type of abuse. Neglect is the failure of a caregiver to provide for the victim’s needs. It can result in reduced physical or mental well being. The most effective way for you to reduce your loved one’s likelihood of being abused by his or her caregivers is to be a constant presence in his or her life. Make it a point to visit the nursing home frequently and engage in conversation and social stimulation with your loved one. By knowing how the nursing home operates and how your loved one’s caregivers treat him or her, you can develop a sense of whether there are issues that need to be addressed or if he or she is in danger. 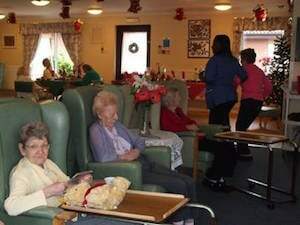 How does the staff interact with the residents? Do the residents seem to enjoy spending time with staff members, or do they seem fearful or resentful of them? How do residents appear to feel about the facility? Objectively, how clean, well-lit, and safely equipped is the facility? Does your loved one participate in social activities with others in the facility? What is the food in the facility like? Is your loved one fed at approximately the same time each day and given a variety of healthy, satisfying foods? Does your loved one have access to clean drinking water? How is your loved one’s physical condition? Are there scars or bruises that he or she cannot explain? How is your loved one’s demeanor? Is he or she withdrawn, irritable, anxious, or depressed, or is he or she generally content and behaving like him- or herself? First, discuss your concerns with his or her caregivers. Sometimes, there are legitimate reasons for changes in an individual’s health or behavior. Keep a record of all of your interactions with the nursing home’s staff and your observations that could point toward nursing home abuse. This, along with your loved one’s medical record and any relevant photographs or testimonies that show that abuse has occurred, is an important piece of evidence to support your nursing home abuse claim if you choose to file one. Talk to an experienced nursing home abuse lawyer about pursuing compensation for your loved one’s damages through a nursing home abuse claim. In California, nursing home abuse claims are filed with the California Department of Public Health. If you suspect your loved one is suffering from any type of nursing home abuse, you need to be an advocate for him or her and speak with the staff charged with his or her care, both the nursing staff and the facility’s management. Discuss what you observed during this conversation and listen to their response, but do not let your concerns be dismissed. Then contact an experienced attorney. I’m Ed Smith, a Sacramento nursing home abuse lawyer. If you or a loved one has suffered negligence and/or abuse in a nursing home setting, please give me a call at 916.921.6400 for free, friendly and no obligation advice. Members of the Million Dollar Advocates Forum. See our Past Verdicts and Settlements. See my reviews on Avvo (the attorney rating website), Google and Yelp. Visit the Law Offices of Edward A. Smith.